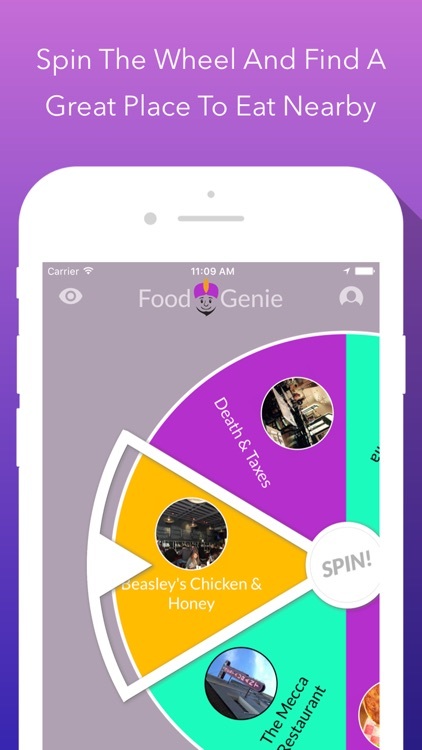 Food Genie uses your location to find 20 restaurants near you and then randomly places 6 on the Food Genie wheel. 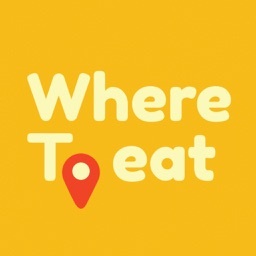 Take a spin and say goodbye to the "I don't know" moments of deciding where to eat. 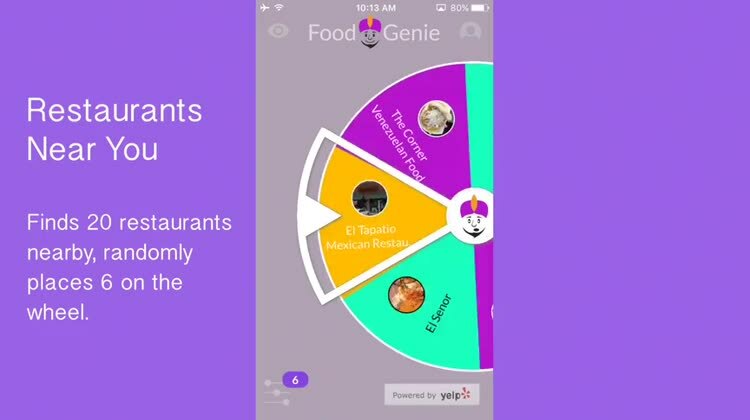 Let Food Genie be your unbias third-party in helping you decide where to eat. 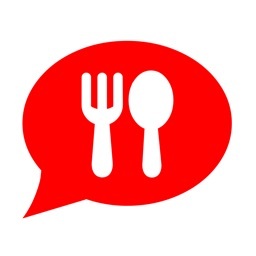 Now finding a new restaurant or pub is fun, easy, and reliable thanks to Food Genie and restaurants provided by Yelp©. Taking a chance could not be more rewarding. 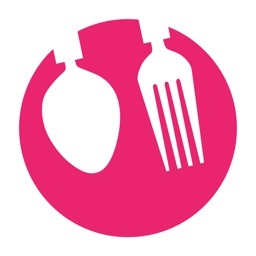 ▶ Food Genie, what else? 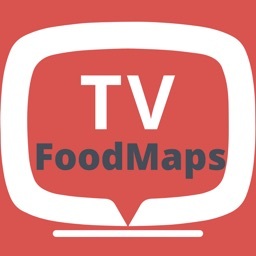 • Cool food genre filters for the picky eater​. 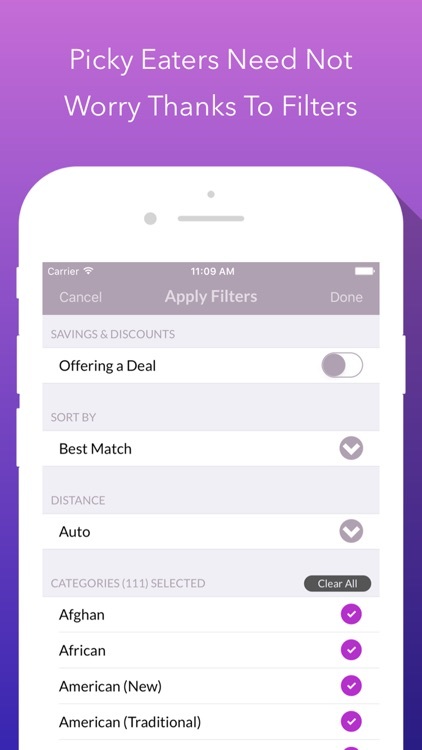 ▶ Got a new feature idea? 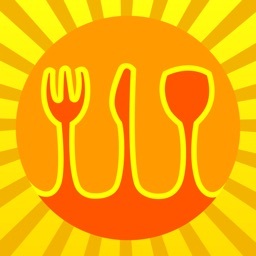 Shake your iPhone while Food Genie is open and share with us your idea. 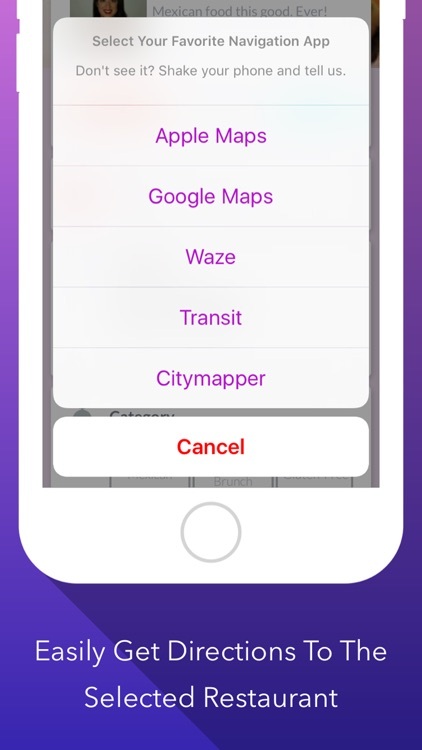 You can also report any bugs you see, but we believe you'll have a hard time finding them. 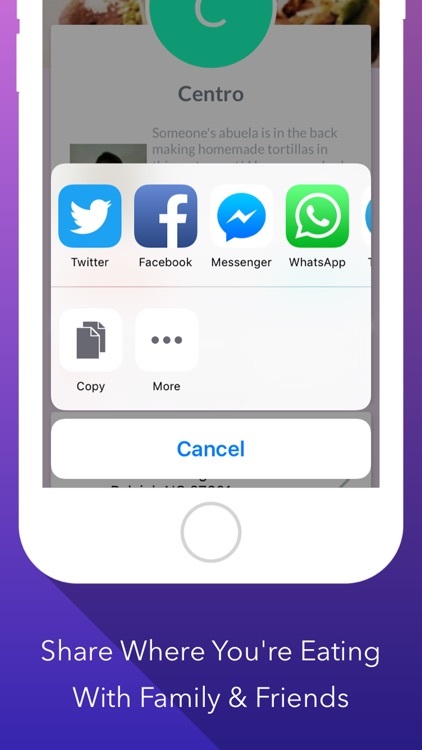 If you have feedback, feature requests or bugs to report, please sign a video to us on the Glide app. You can find us at @foodgenie. We are fluent in many different sign languages worldwide and look forward to chatting with you. 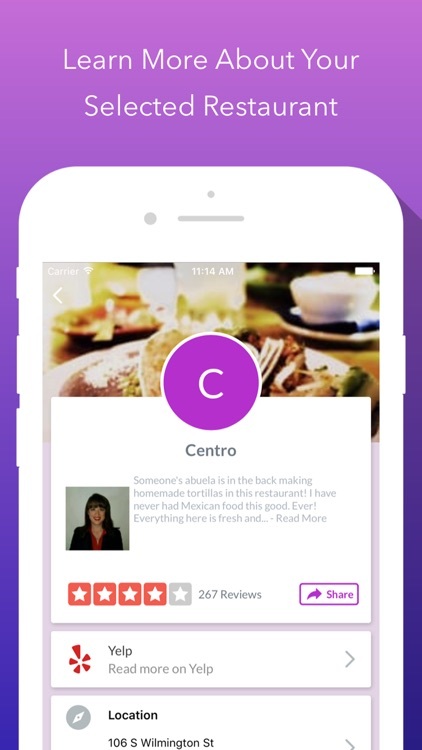 By downloading Food Genie you the end-user understand that Food Genie and Story Rocket, LLC have no material connection to the brands, products, restaurants, or services that have been mentioned, displayed or used inside the Food Genie app or its website. 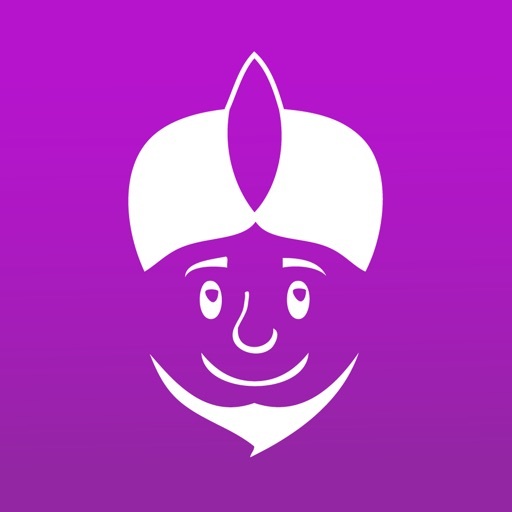 They are the sole intellectual property of that third-party and Food Genie and Story Rocket, LLC are not held responsible for their product, brand, or services.